Benholm’s Lodge was built in the early seventeenth century by Sir Robert Keith. It took the form of a Z-plan Tower House and was originally located in central Aberdeen adjacent to Netherkirkgate. In the 1960s the tower was dismantled and re-assembled further north in vicinity of Tillydrone Motte, an ancient earthwork that may have been a medieval castle. 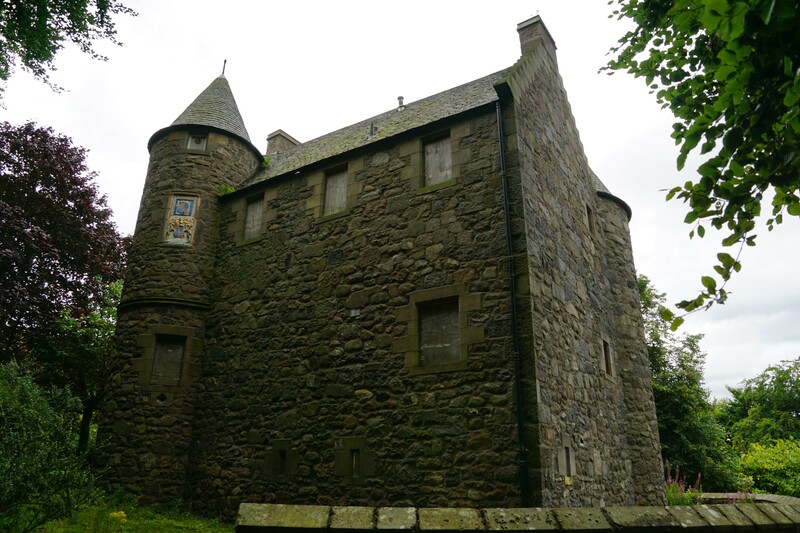 Benholm's Lodge, which is also known as Wallace Tower, was built between 1610 and 1616 by Sir Robert Keith. He was a younger brother of George Keith, Earl Marischal and pressured his elder sibling to grant him land and property. 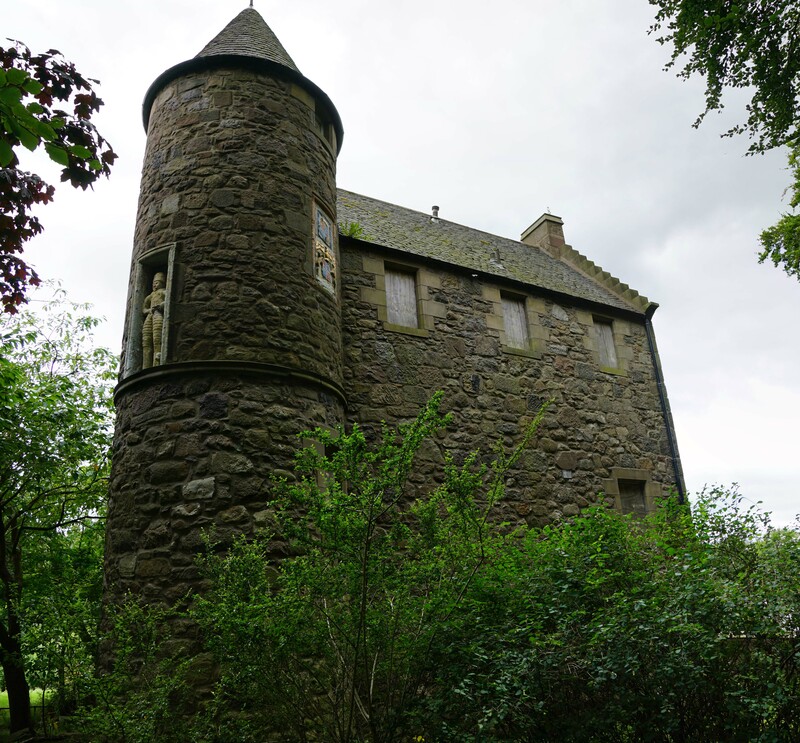 Robert seized Ackergill Castle and this seemingly prompted the Earl to relent and grant him the Barony of Benholm. To mark his new found status, Robert changed his surname to Benholm and built a new lodge to serve as his family seat. Despite its current position, the tower was originally located just outside of Aberdeen Town Walls adjacent to Netherkirkgate (near the intersection between Union Street and Market Street). The castle took the form of a three storey (plus attic) Z-plan Tower House. It was constructed from rubble with some ashlar dressing and the whole structure was originally harled. The main block was a rectangular structure with storage at ground level, a hall on the first floor and accommodation above. A circular stair tower provided access to all floors. Sir Robert Benholm died in 1616 and the tower reverted to the Earl Marischal. He had little use for it so converted it into the residence for the Principal of new Marischal College. It later passed into the hands of William Hay and thereafter was owned by various city merchants. The structure was expanded circa-1789 when a new wing was added. It remained a residence into the nineteenth century although the ground floor was converted into a Public House. In 1918 it was taken-over by the city council and thereafter was neglected. Between 1963 and 1971, the tower was dismantled brick-by-brick and relocated to Tillydrone, some 1.5 miles north of its original site. Just to the east of the relocated Benholm's Lodge is an earth mound which is believed to be the remains of a medieval motte castle. The site is located on top of a steep scarp overlooking a bend in the River Don, a waterway which connected the site to the North Sea. This would certainly have been an ideal place for a castle but, to date, archaeological investigation and radiocarbon dating have been inconclusive. The base of the motte is natural but the upper portion has been artificially scarped seemingly during the late Iron Age. A timber palisade was added later, possibly during the medieval period, and this suggests it was a fortification. A record dated 1214 refers to a castle at Aberdeen and it is conceivable this was referring to Tillydrone Motte. 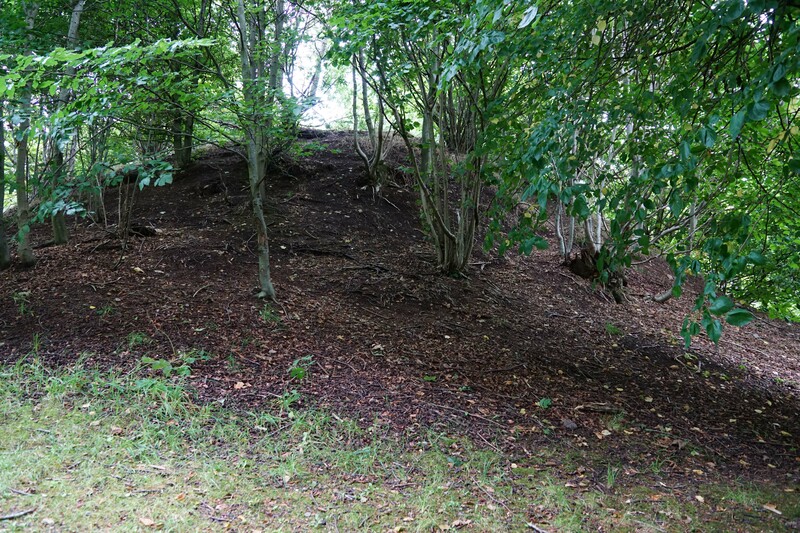 However, there is neither evidence of a ditch around the base of the motte nor any bailey. Furthermore local tradition suggests that the mound was used simply as a beacon. Based on the evidence known to date, this would seem the most likely use. Billings, R W (1901). The baronial and ecclesiastical antiquities of Scotland. Edinburgh. Bogdan, N and Bryce, I.B.D (1991). Castles, manors and 'town houses' survey. Cruden, S (1960). The Scottish Castle. Edinburgh. CANMORE (2016). Benholm's Lodge Aberdeen. Royal Commission on the Ancient and Historical Monuments of Scotland. CANMORE (2016). Tillydrone Motte. Royal Commission on the Ancient and Historical Monuments of Scotland. Coventry, M (2008). Castles of the Clans: the strongholds and seats of 750 Scottish families and clans. 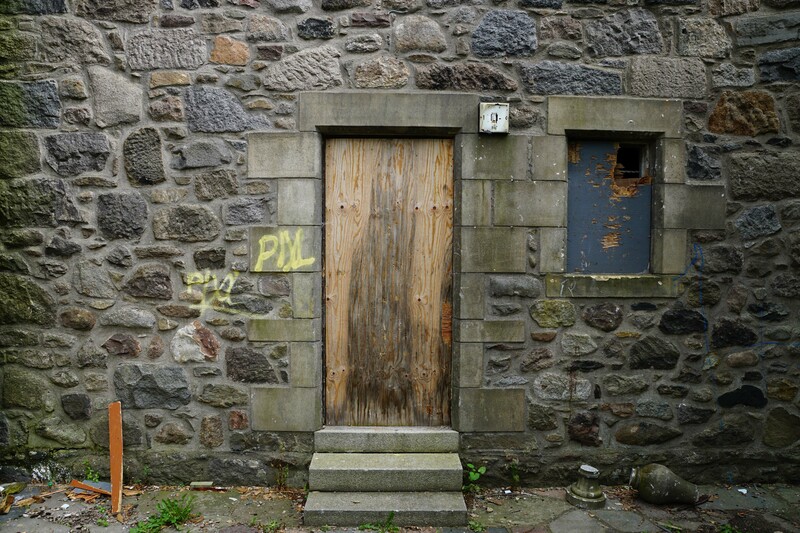 Musselburgh. Saltar, M (2002). The Castles of Grampian and Angus. Folly Publications, Malvern. Shepherd, I.A.G (1986). Exploring Scotland's heritage: Grampian. Edinburgh. Shepherd, I.A.G (2006). Aberdeenshire, Donside and Strathbogie: an illustrated architectural guide. Rutland Press. Tranter, N (1962). The fortified house in Scotland. Edinburgh. 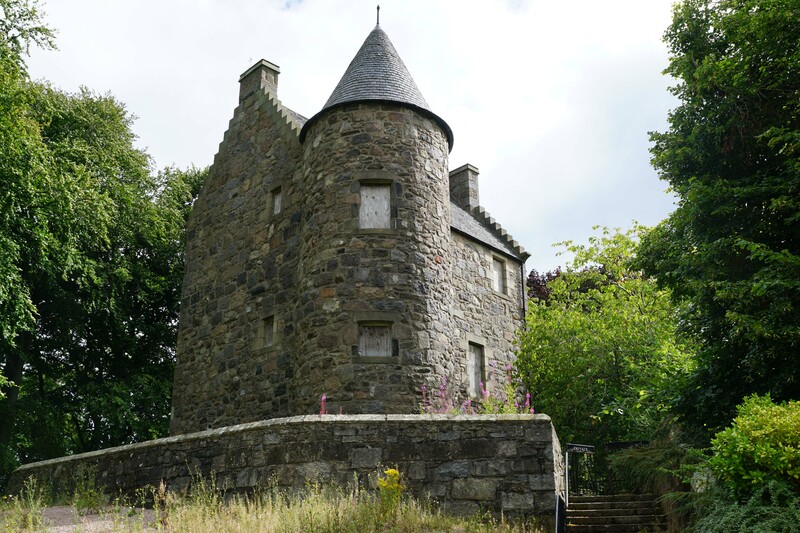 Benholm's Lodge is a seventeenth century Tower House that was dismantled and moved from its original location in central Aberdeen. The tower is currently vacant. The remains of Tillydrone Motte are nearby. Benholm's Lodge. 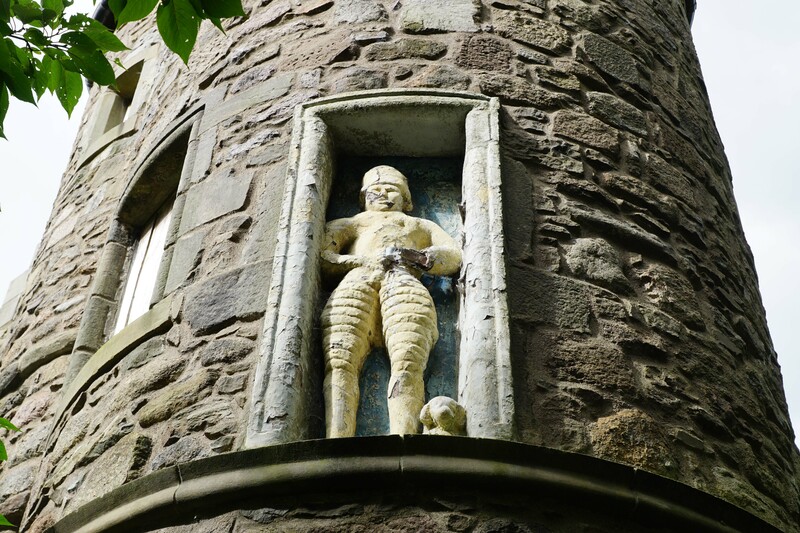 The Z-plan Tower House is also known as Wallace Tower, a corruption of 'Well House'. Sir Robert Benholm. A statue of Sir Robert Benholm, holding his sword with a dog at his feet. Entrance. The entrance into the structure was at ground floor directly into the main block. 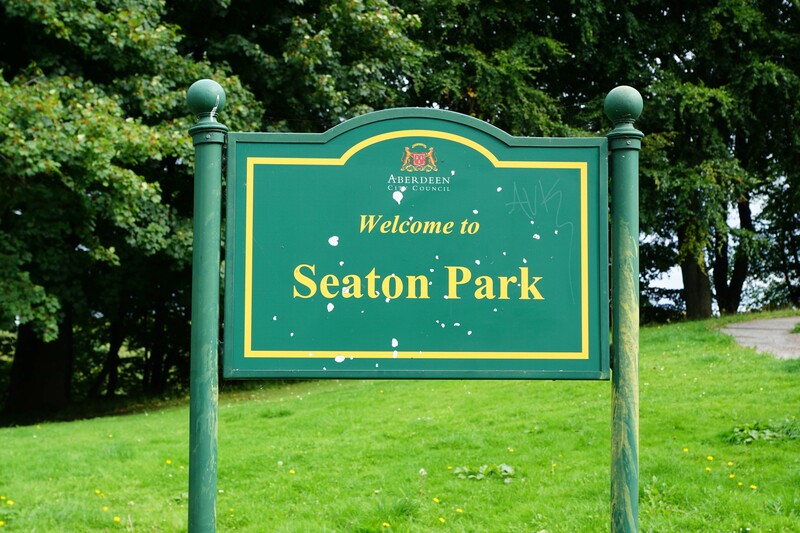 Seaton Park. Both Benholm’s Lodge and Tillydrone Motte are found within Seaton Park. Tillydrone Motte. 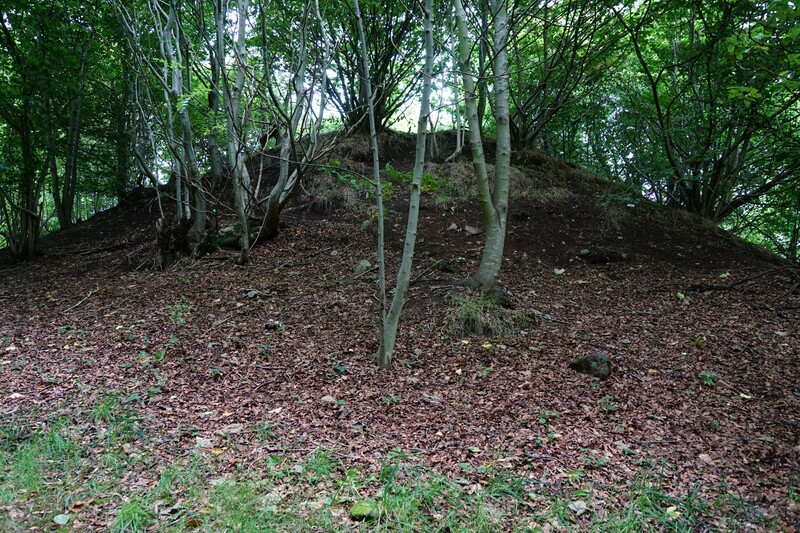 This earth mound is believed to have been a medieval motte-and-bailey castle although archaeological evidence and radiocarbon dating is inconclusive. Certainly a timber palisade was erected on the site at some point. Benholm's Lodging and Tillydrone Castle are found within the grounds of Seaton Park which is located on Tillydrone Avenue. On-road car parking is possible on the side streets nearby.